Of course I’ll go wherever my couple wants, if they have a preference or location that’s special to them. 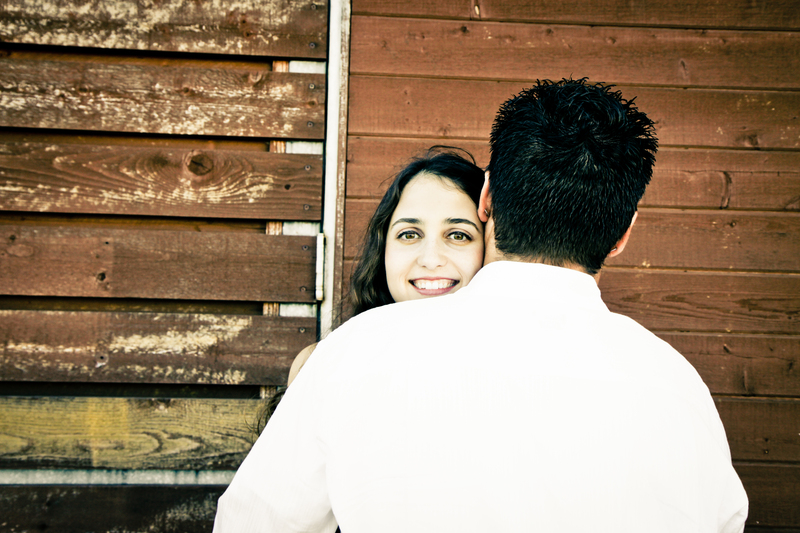 But, I definitely have a few favorites for engagement sessions. One of them is the historic part of San Juan Capistrano. There are lots of great textures, architectural details, and variety of backgrounds to create different moods. When you have a bride-to-be as gorgeous as Maria, it’s just hard to stop shooting! We had a ball, and I love that Tony brought his red guitar as a prop. You may remember the movie or play, “West Side Story.” The lead characters had the same names and an ill fated love story. Not so for THIS Maria and Tony. Destined for a long, happy life together. My goodness! These two were so much fun to spend time with. Sydney had done something I always think is a good idea…she had her make-up trial the day of our shoot. 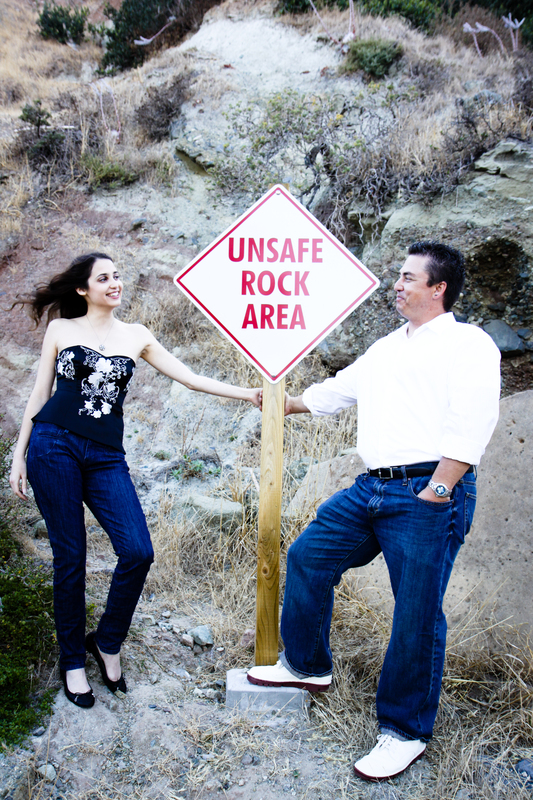 They’re not getting married until Aug., but are going to use one of the pix as their save-the-date. No doubt in my mind that she will make a spectacular bride! 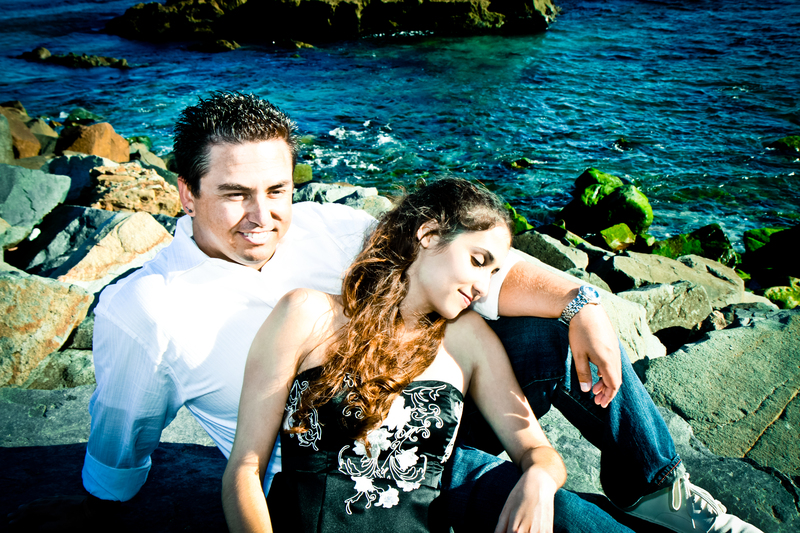 We shot at two of my favorite spots: downtown Laguna Beach, and on the sand at The Montage. I literally could NOT decide which images to pull for a preview. What a great “problem” to have, right? These are almost in reverse order from how we shot them. Another super fun evening shoot. We met down at Dana Point’s Ocean Institute. Lots of great backdrops, as you’ll see. Plus the beach, of course. 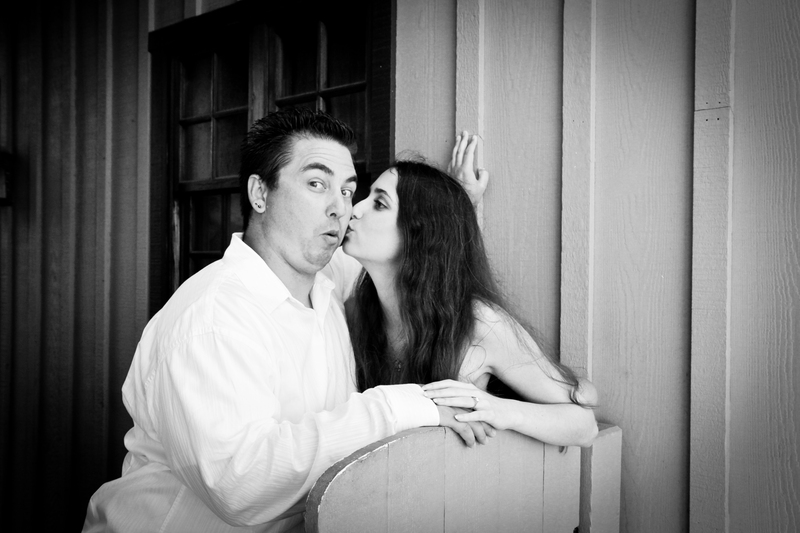 Kevin & Amanda are so cute and sweet … I can hardly wait to shoot their wedding in October!